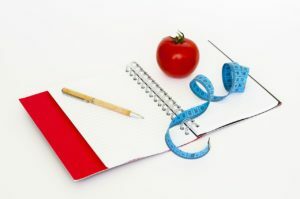 Have you noticed that losing weight is hard? I sure have. I am not at my ideal weight. I set a goal for this year, 2018, to get my weight back in my ideal range which is about 150 lbs. I’m not at that weight, and I have had to purchase clothing in slightly bigger sizes to fit my slightly bigger body. Can you relate? My weight has been a challenge for me for the past two years or so. I wonder if part of the weight loss challenge is due to being over 50 years old. Maybe. Last year I met with a dietitian face to face for four months at my work site at the University of Minnesota. I lost about 10 pounds and that felt good. However, I did not make it to my target weight. I call the winter months my off season, as I’m not training for any big events during November, December, January and most of February. Off season is an ideal time to focus on weight loss. It’s not easy to lose weight when one is focused on an athletic goal. It’s off season right now, so I’m working on weight loss again. As I mentioned in my blog last week, I am moving through a time of loss and grief. A few weeks ago, I was hit by a blinding flash of the obvious. I realized that I do use food as comfort when my heart aches. That was a big insight. The two foods I most use for emotional eating are chocolate and popcorn. The irony is that I don’t actually love either chocolate or popcorn, but both of them are easy foods to munch on mindlessly. My father used to make a huge bowl of popcorn almost every single night. He made it the old fashioned simple way, with oil and popcorn in an old pot with a lid. He’d shake the pot as the popcorn popped. He didn’t put butter on it, just lots of salt. He would reluctantly share it with me and my siblings, reserving the vast majority of that huge bowl of popcorn for himself. As I realized I’ve been emotionally eating popcorn and chocolate, I realized that all that popcorn I watched my father eat when I was a kid, set an imprint in me, that eating popcorn in huge quantities was somehow okay. I buy bags of organic popcorn at Trader Joe’s and when I get sad or overwhelmed with grief, I eat an entire bag in one sitting. Upon further reflection, a big discovery I’ve made is that eating all that popcorn DOESN’T actually help me feel better. All it does is make me feel really full and kind of numb. I suspect that the numbness is attractive, as when numb I don’t have to feel the sadness or grief. I breathed into that, and I remember my wise teacher Stan Grof, and his wisdom about difficult emotions. He always talked about how it is much better to dive into those difficult emotions, rather than try to stave them off. And to actually 100% allow myself, ourselves, to completely FEEL all the emotions. To let the tears come, to let the loss cut, to simply as difficult and painful as it is, to welcome every emotion. The beauty in allowing all that emotion is that the emotions then move more quickly through us, which more quickly allows for healing and joy to emerge again. This weight loss off season I have again engaged a health coach through my employer. After all, I earn wellness points for discounts on my health insurance premium by earning points. I remembered that the times I gotten support for weight loss was when I had a short meeting with the coach every week. Going a month between conversations is too long for me. Bre, my coach, agreed to talk with me every week for at least a month. This week I am recording in a little notebook EVERY single thing I eat!! And all the exercise I am getting. One thing I’m noticing as I record all that I’m eating, is that I’m not doing nearly as much emotional eating. I am pausing and noticing my emotions. I’ve cried almost every day. I am letting myself feel all my emotions. One day, I even took a little nap, as I was worn out from feeling so much. How do you navigate emotional eating? I’m curious, and I’m looking to learn more as I discover this tendency I didn’t realize I had. I actually learned a lot when I was on Jenny Craig. Weekly accountability and support was so important; portion control was key; and each week was easier than the last. Train the brain and the body will follow! Keep with it, Mari, dearest. Half the battle is exercise and you have that dialed in. You are such an inspiration!! Thank you for your words of encouragement and for telling me about what worked for you. I’m working on portion size and making sure I’m staying in my ideal range of calories. And you’re right, the exercise part I have figured out!!! 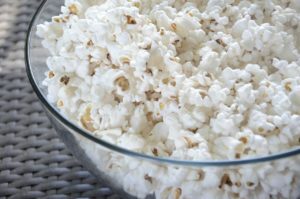 Reading your blog is like looking into my emotional eating, even down to the popcorn!! I think it is also rebelling against the diabetes and the feeling I can never indulge in a large quantity of food. I also go for the nuts. Tons of calories, but not too many carbs. I was recently at a meeting where I could not do the mindless eating thing and my BG numbers were great, and was busy for the entire meeting. I think mine goes to boredom with sitting at my computer all day some days. I have also been keeping an exercise log that helps to keep me busy, when the munchies hit. Thanks for your blog! Thanks so much for sharing some of your story. Logs do help! I’m learning, as are you!!! Something we started about a year ago at my house has really changed things for me. I noticed that my daughter and I were eating a little something sugary almost every day. Now we do “Sugar Friday.” No sugar all week, then eat whatever the F you want, all day, on Fridays. For me this quickly dwindled down to a small bowl of coconut milk ice cream in the evening. It really did make me look at why I was craving sugar, what I could do instead, and what emotion I was feeling when the craving hit. This, plus simple food combining, really improved my digestion, how I feel every day, and my choices. It is amazing how powerful these changes and examinations can be! You are SO wise!! I love your ideas! Thank you for sharing! I have much more success when I plan my meals in advance. To plan for blood sugar, include an appropriate snack, a serving of fruit. My plan consists of 3 meals. Breakfast is grain, protein, fruit. Lunch is protein, cooked veg (non-starch; beans count as protein), 1Tbsp oil and fruit. Dinner is protein, cooked veg, salad veg, 1Tbsp fat(typically olive oil). Humans notoriously underestimate how much we serve ourselves. If you want a printed copy of the foods and quantities allowed, I can send them. Planning my meals in advance helps me have control, keep the right foods on hand and lifts the anxiety of wondering what I am going to eat. Plus I almost eliminate added sugar and flour. You have a great system!!! Well done! Your meal planning is very smart. Thanks for the inspiration!! I like Cathy’s idea about keeping the trigger foods and beverages out of the house. For me, it is peanut butter, nuts, and to a lesser extent, beer. I will eat peanut butter straight from the jar, consuming a whole jar in 2 days. You know those giant tubs of cashews from Sam’s club? I can scarf one of those down in a week. I only drink 1 beer at a time, but I like the high gravity IPAs, which means lots of carbs, and no nutritional label to tell me exactly how many for a correct bolus. When I keep these things out of the house, I have much better control of my diabetes. I love your advice that Cathy also follows, keep the trigger foods (and beverages!) out of the house! Thanks for telling me a bit of your story and how you stay motivated! Much appreciated! What helped me the most with this was attending some support groups for compulsive over eating many years ago. I still have this pattern, but do not eat myself into a coma as I once did. With type 1 daibetes for 44 years now, the over eating can have an impact on my health. Feeling the feelings is wise advice. Thank you. Great to hear your strategies! Support groups are wonderful, that’s for sure. I am pretty sure I’m not a compulsive over eater, I’ve examined that behavior in myself over the years and I’m thankful that’s not something I do. I’m glad you found assistance for this and that you don’t “eat yourself into a coma” anymore. Whew!!! Yes, feeling the feelings is key! I am the queen of emotional eating! Or at least I was. First, I had to get to the roots. One thing I learned was that this was a learned behavior for me. From my mom. Like you, I had to learn how to live with my emotions and not turn to food. Then I started to eat only when I was hungry. I had to learn what that was. I also have to keep my trigger food out of the house. Sometimes easier said than done. As for weight loss, I don’t beat myself up if the scale doesn’t move. I actually avoid it completely and go by how my clothes fit. When my pants start sliding down, I know I am getting there! Keep fighting Mari. This is a battle and d doesn’t help. Thanks for sharing some more of your story. Yes, realizing it can be a learned behavior is big. Knowing when I’m hungry is challenging with type 1 diabetes!!! You get that! I’m on my way! We both are!